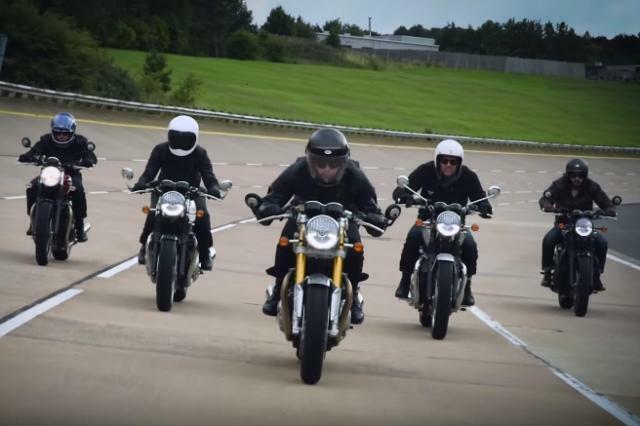 CHECK out this promotional video of the new Triumph Bonnevilles in action. If the unveiling of the new Bonneville range hasn't got people talking enough, this is certain to ramp up excitement; it's the first time we've seen the new Bonnies in action and they look fantastic. If only the video featured more engine noise and less guitar. It's safe to say we can't wait to ride these. Is Yamaha about to announce a flat-track-style MT-09?